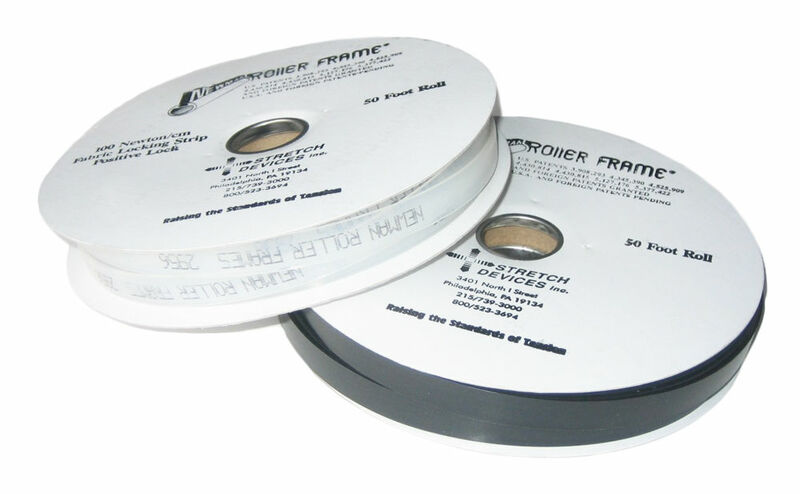 Frame accessories are replacement or optional parts for retensionable screen printing frames. Newman Roller frame locking strips are used during the stretching process to hold the mesh screen both during and after stretching. Locking strips come in two versions, universal and heavy duty. Universal strips are used for mesh counts of 86 and above. Heavy duty locking strips are used for all mesh counts below 86. They are also slightly thinner than universal strips.